The PalmSecure ID Match multi-factor identification device also includes card and PIN verification to maximise security. The solution appears similar to a compact point-of-sale unit, comprising a sensor, touchscreen, processor board and multi-card reader. The technology aims to prevent the misuse of payment cards, whether the card and PIN were provided by the cardholder to another party intentionally, or following theft. The matching of the template on the card and user's hand are done in the device - no personal biometric data is stored on a server or in the cloud, Fujitsu said. 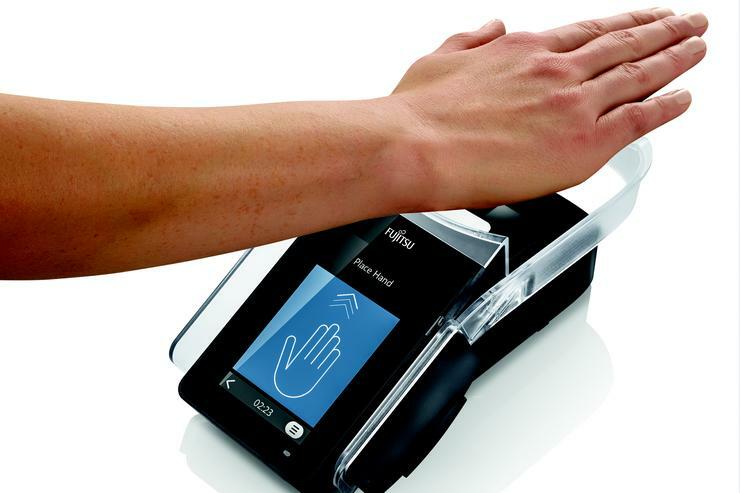 Hygiene concerns have been overcome by users only being required to hover their hand over the screen, rather than making direct contact. This solution could be useful for corporate users in areas such as workforce management, financial services, public sector agencies, healthcare and retail, and can be used for access control (physical or logical), time attendance, or replacement of passwords for critical applications, according to Fujitsu. “Consumers, citizens and shoppers are becoming more open to new ways of engaging in an increasingly digital world – and will continue to do so as long as trust is maintained,” said Brendan Smith, CISO and manager, security services at Fujitsu Australia and New Zealand. The PalmSecure ID Match device is now available for purchase in Australia.